Winning images are selected for their creativity, originality and technical excellence. Launching in 1965 and attracting 361 entries, today the competition receives almost 50,000 entries from 92 countries highlighting its enduring appeal. This year’s 100 award-winning images will embark on an international tour that allows them to be seen by millions of people. 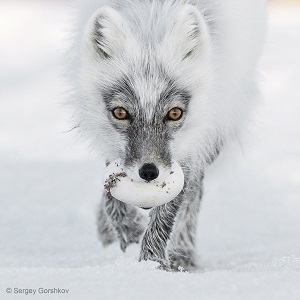 Sir Michael Dixon, Director of the Natural History Museum, says "Wildlife Photographer of the Year is one of our most successful touring exhibitions, enjoyed by millions of people all over the world. The awarded images shine a spotlight on nature photography as a work of art, whilst raising questions about our crucial role in shaping a sustainable future." On now until 13 May 13, 2018 at National Wool Museum -26 Moorabool Street, Geelong.